Accelerate Your Schools/Colleges Performance With Automation, Dashboards & Tools that Increase Productivity! Accelerate Your Schools or Colleges Performance With Automation, Dashboards & Features That Really Matter! Do more, work less! 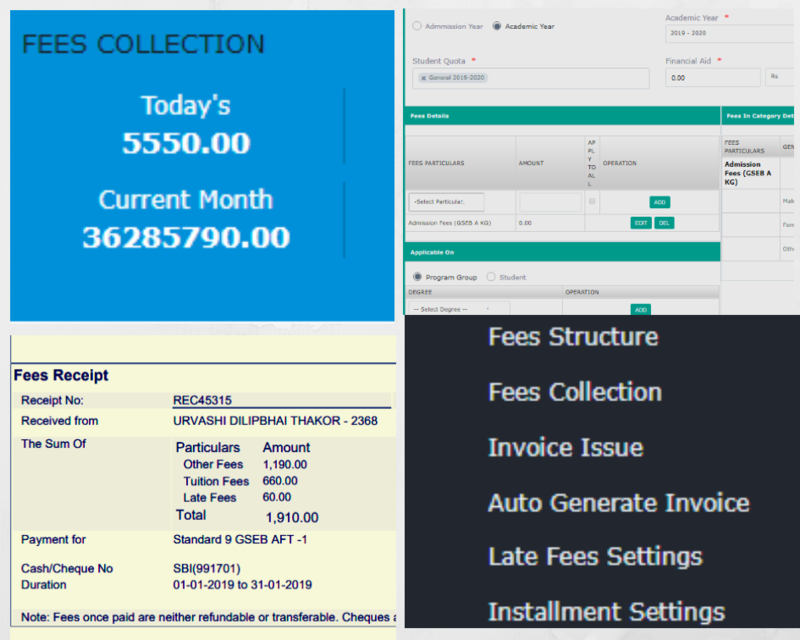 Automate and streamline your fee collection process with the most comprehensive and dynamic Tuition/Fee software. 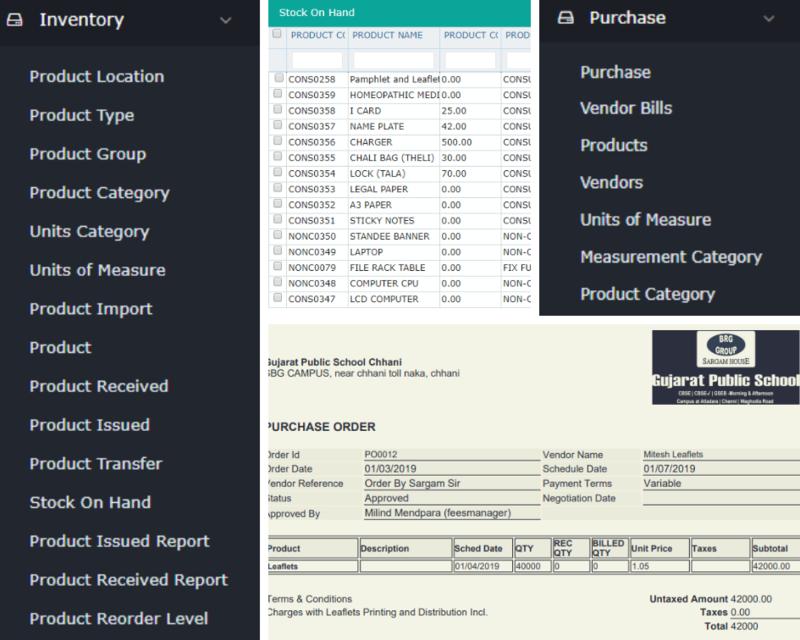 Ease your payroll burden in one-click! Payroll management is a complex process due to a large number of calculations and statutory compliance requirements. You need a solution that is accurate, fully ripe, secure and with tones of automation capabilities. 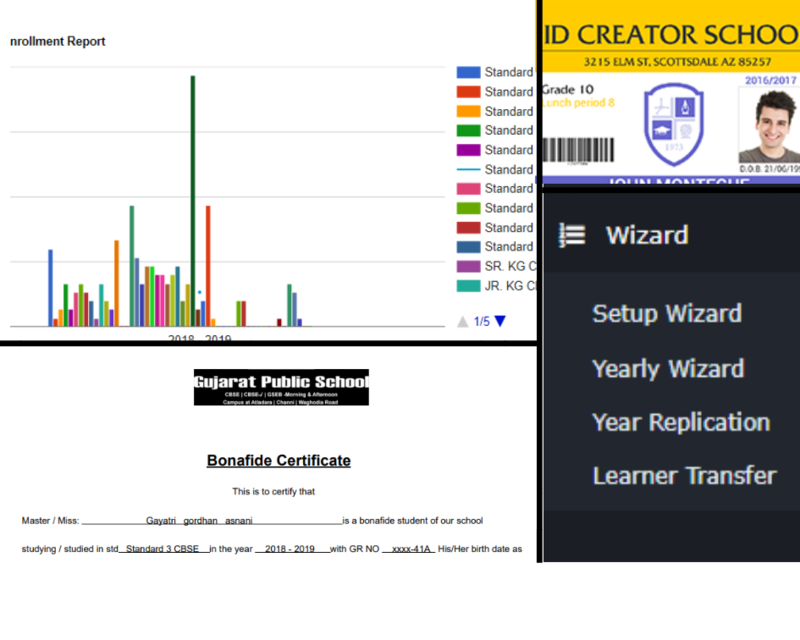 A collection of tools and utilities to help save time, increase productivity and benefit every stake holder in your School/College. 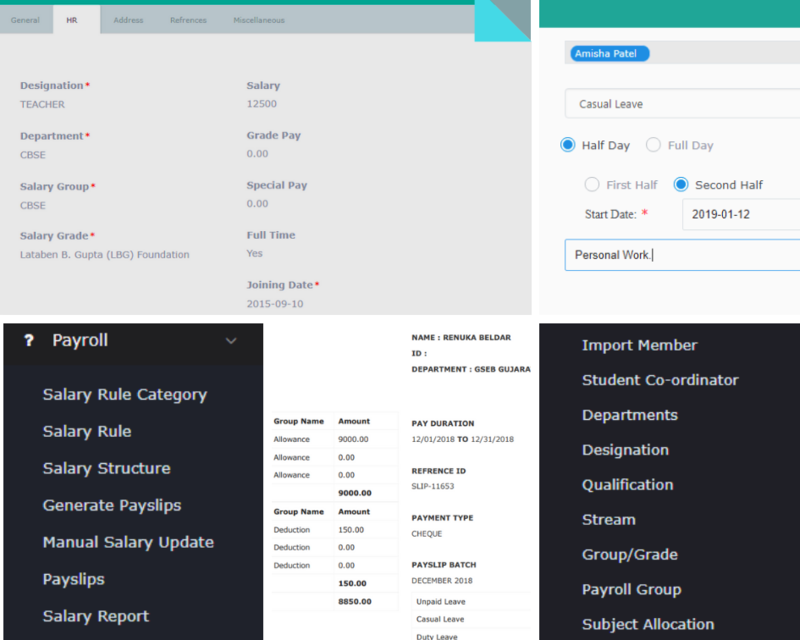 Admissions Management that integrates with Enrollment cycle, Productivity tools to transfer data in new academic year, Certificate creations, Transportation management and tracking, Hostel management and hostel fees, Career center for students do hunt jobs, We have got plenty more!